I arrive at Genius Factor Games at 2:05 in the afternoon, and am welcomed by Ryan Arndt, the Director of Digital and Emerging Media. He’s as friendly as his position requires, and I’m invited to wait in the lobby until their previous meeting concludes. The offices are lowly lit, and sparsely furnished, with ecru sofas and a single glass table with two trade magazines.. Gravity Well may be their biggest success so far, but the few pieces of art on the walls are solely devoted to their newest project, a card game tie-in to Riese: the Series. The door into their meeting is left ajar, allowing me to hear an intent discussion of the viability of video game franchises as cross-media entertainment; I find myself more eager than ever to speak to the two men inside. When I’m welcomed into the office, an introduction to Ted Nugent, CEO of Genius Factor Games, is immediate—as is an introduction to his Australian Shepherd, Jenny, who sits at his feet. I begin by asking how he feels about the success of the company’s debut; and immediately, his gratitude and modesty take centre stage. Happy Social Media Day, Canada – a good warm-up for tomorrow’s National birthday celebrations. Speaking of Canada Day, don’t forget that if you’re in Vancouver, there will be an abundance of activities happening at Canada Place on July 1st. If you haven’t tried Ubisoft Vancouver’s latest soccer title, Pure Football, stop by the the BC Soccer event area at Canada Place and give it a go. In celebration of Canada Day and the World Cup, we will be giving away a copy of Pure Football tomorrow, courtesy of Ubisoft Vancouver. Check back tomorrow for the details on this giveaway. Advance tickets for our local SIGGRAPH chapter’s Spark Animation conference go on sale tomorrow. There isn’t very much information available yet, but word at last night’s Making of ModNation Racers event was that there will be Early Bird prices available, so check the site tomorrow for more details. Starting today, the National Film Board of Canada (NFB) has its own iPad app, available free of charge at the iTunes Store or at the NFB’s download page. One of the first Canadian film apps for the iPad, the NFB app allows users to enjoy over 1,000 NFB documentaries, animated shorts and trailers, streamed over Wi-Fi and 3G wireless networks. It includes a selection of films in 3-D and stunning high definition. Users will also be able to download and store a film for up to 48 hours, for off-line viewing. The NFB’s iPad application builds on the success of its popular iPhone app, launched last fall. The NFB’s iPhone app was selected as one of the best apps of 2009 by iTunes Canada and named Best Use of Content in 2009 by TheAppleBlog. Since its launch in October 2009, the NFB’s iPhone app has been downloaded more than 235,000 times, with 821,000 film views, as of June 1, 2010. Fans of Dragon Age: Origins will be pleased to know that Issue 2 of the Dragon Age comic book series from IDW has been released and is now on store shelves. You can get an inside look over at Issuu’s web site. CTV announced today that the Gemini Award-winning series FlashPoint will present a special Season 3 sneak peek episode on Friday, July 16 at 10 p.m. on CTV. 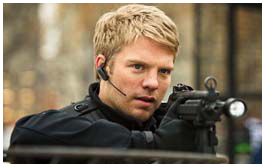 A quick-hit teaser of a third season locked and loaded with hard-hitting storylines, painful decisions, and Team One’s toughest adversaries yet, the mid-summer primer is a can’t miss target for FlashPoint fans. Earlier this month CTV announced the pick-up of a fourth season which will begin production in Toronto for the 2010/2011 season. Following its television broadcast, the Season 3 sneak peek will be available on demand on the CTV Video Player at CTV.ca. In the Season 3 sneak peek, entitled “Unconditional Love” (July 16), Team One must resolve a standoff at a seedy motel with a fugitive whose shot two police officers and taken a teenager, Paul Wilder (Devon Bostick, BEING ERICA), hostage. At first, Paul seems like a good kid in a bad situation, but as the team digs deeper it uncovers chilling secrets that reveal Paul is far from innocent. What began as a standoff ends as a desperate chase through the city’s sewer system, and it’s up to Parker (Enrico Colantoni) to stop Paul from making a mistake that will change him forever. Meanwhile, Ed (Hugh Dillon) discovers that his cop brother Roy (Colin Cunningham, Da Vinci’s Inquest) might have been responsible for one of the officers getting shot… and that his wife is, unexpectedly, expecting. The Canada Media Fund (CMF) has released the official guidelines for its Diverse Languages Program. The Diverse Languages Program, which forms part of the CMF’s Convergent Stream, ensures that Canadians have access to content that reflects the variety of languages they speak. The program will provide funding support for the creation of Canadian content for television and digital media platforms in languages other than English, French, and Canadian Aboriginal languages, which are served by the CMF’s other funding programs. Congratulations are due to Tickle Tap Apps developer zinc Roe, the proud recipient of three Parents’ Choice Awards in the highly competitive Mobile Apps category. Sound Shaker and Sort Slider both earned Gold Awards for highest quality apps while Count Caddy was recognized with Silver Honors for excellence. These popular apps are educational iPhone games preschoolers love and parents can feel good about. To celebrate the awards, zinc Roe will be giving away Bug Builder, the newest app in the Tickle Tap series, for free! Visit the iTunes App Store on Saturday, July 3 or Sunday, July 4 and type “Bug Builder” into the search to download your free app. Tickle Tap Apps are attractive, simple games that help kids learn about numbers, shapes and patterns. The apps are developed by child gaming experts, vetted by educational researchers and tested by kids. These portable games help transform trips, line-ups and car rides into fun, educational experiences for young children. U.S. publisher 505 Games and Canadian developer Artificial Mind and Movement (A2M) have released the bears – Naughty Bear is now available for the Xbox 360™ and PlayStation®3 platforms. The game allows players to take on the role of the infamous Naughty Bear, who is driven to seek retribution after his fellow bears snub him one time too many times. After the other bears exclude him from Daddles’ big birthday party, Naughty Bear finally snaps and slashes a grisly path of revenge and destruction across the Island of Perfection. Waging psychological warfare against all things cute and fluffy, as Naughty Bear, players engage in sadistic scuffles on all that crosses their path. Using a hilarious array of weapons, interactive objects and endless scare tactics, gamers create chaos on the Island of Perfection to earn Naughty Points as they inflict physical and psychological harm on Naughty Bear’s numerous enemies. This all-new scare-based points system allows players to win the most rewards for being truly deviant and maniacal. As the ill-fated bears become more difficult to harass and terrorize as the game progresses, the variety of scare-based attacks allow for a completely new experience each time players pick up a controller. Rated by the ESRB as “T” for Teens with a “Violence” content descriptor, Naughty Bear features more than 28 single player levels to unlock as well as competitive online multiplayer modes filled with unique characteristics and weaponry encountered at every stage. Players battle an endless barrage of bears recruited to wage war against Naughty, including Soldier Bears, Ninja Bears, Robo Bears and even an Alien Bear invasion. As they scour the Island of Perfection to unleash their naughtiness, players can collect all the hidden party items locked away by the other bears to win wearable items and unlock special Achievements and Trophies. Transgaming has just announced that Her Interactive’s title Nancy Drew: Trail of the Twister is now available on GameTree Online for Mac gamers. Download the game for only $19.99 and then go undercover as a storm chaser, immersing yourself in meteorology by studying clouds, reading Doppler data, and surviving tornadoes – all while trying to find a saboteur. Global video game publisher 505 Games and developer Artificial Mind & Movement (A2M) today revealed rare footage of the elusive Unibear character found in the upcoming comic mischief title, Naughty Bear. In conjunction with the release of the film, the Perfection Island Herald today ran an investigative report (PDF) on whether or not the Unibear is a hoax. According to sources that claim to have seen the mythical Unibear, the creature can appear at random on the Island of Perfection for a very short time. Given the amount of mystery surrounding the Unibear, it is likely that any player who manages to catch and scare the mysterious creature will win an exponential amount of Naughty Points. Naughty Bear’s reign of terror doesn’t stop at the shorelines of the Island of Perfection, however. As the resident bears call for backup, Naughty Bear takes on increasingly powerful waves of enemies, including Ninja Bears, Soldier Bears, RoboBears, ZomBears and even powerful Alien Bears from another planet. Naughty Bear can unlock costumes for each of these enemies as he defeats them, allowing players to create utter pandemonium on the Island as the bears try to distinguish friend from foe. 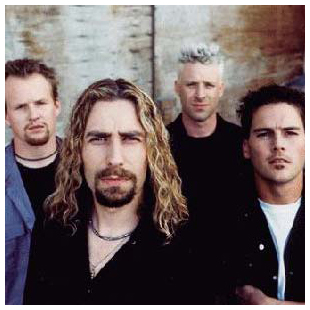 Nickelback, the 11th best-selling act of the 2000’s with more than 30 million records sold worldwide, will make their Rock Band debut in the Rock Band Music Store on June 29th. The band will make their debut in Rock Band next week with a six pack of songs. “Nickelback Pack 01” will include “Burn It to the Ground” and “This Afternoon” from 2008’s album, Dark Horse, which has held a place in the Top 100 of the Billboard 200 since its release last year. Also included are “Photograph” and “Rockstar” from 2005’s All the Right Reasons, which was certified eight-times platinum in the United States in October 2009, making it one of the best-selling albums in U.S. history. “Figured You Out” from 2003’s three-time platinum The Long Road and “Never Again” from 2001’s six-time platinum Silver Side Up will also be featured in “Nickelback Pack 01.” These tracks will be available for purchase as “Nickelback Pack 01” as well as individual tracks on Xbox 360 and PlayStation 3 system, and as individual tracks only on Wii. Be Green Canada today announced that it has joined the Climate Savers Computing Initiative, a non-profit organization dedicated to reducing computer power consumption by 50 percent by the year 2010. Together, Be Green Canada and the other industry-leading members of the Initiative will work to increase the adoption of energy-efficient PCs and servers and increase awareness and use of computer power management. “Be Green Canada is committed to reducing the energy consumption of information technology, both through actions, as well as driving awareness and development of energy-efficient technologies among customers. By working with Climate Savers Computing, Be Green Canada is helping lead the movement toward a more clean and sustainable future”, said Owner, Rich Dezso. In a typical desktop PC, nearly half the power coming from the outlet never reaches the processor, memory, disks or any other computing components. The wasted electricity is dispersed as heat and increases the cost of powering a computer, as well as the emission of greenhouse gases. In offices, homes and data centers, the added heat from inefficient computers can increase the demand on air conditioners and cooling systems, making the computing equipment even more expensive to run. Servers are more efficient than desktops, but still typically waste 30 to 40 percent of the input power. Telefilm Canada has announced the winners of the Golden Box Office Award, a newly-created award that recognizes the writers and director of the Canadian English-language feature film with the highest domestic box-office sales each year. The 2009 “Goldie” was handed to the director and writers of the film Trailer Park Boys: Countdown to Liquor Day at an auto-body shop in Halifax today. The second feature film in the Trailer Park Boys comedy franchise, the title grossed $2.9 million in domestic box office sales. The 2009 winners of the Goldie and accompanying cash grants totalling $40,000 are director and co-writer Mike Clattenburg and co-writers Timm Hannebohm, John Paul Tremblay, Robb Wells and Mike Smith. “We are very pleased to be presenting the inaugural Goldie Award to Trailer Park Boys: Countdown to Liquor Day,” said Carolle Brabant, Executive Director, Telefilm Canada. “With two feature film hits and a TV series that was able to garner a cult following both here and south of the border, the team behind The Trailer Park Boys has achieved outstanding success. Telefilm strives to recognize the talent behind Canadian cinema, because it is these outstanding partners – the hardworking writers, filmmakers, producers and distributors – who keep our industry solid and vibrant,” she concluded. “Telefilm took a huge chance investing in the Trailer Park Boys concept back in 1999 but it paid off with the success of our first and second features films,” said Mike Clattenburg, director and co-writer of Trailer Park Boys: Countdown to Liquor Day. “Without Telefilm’s unfailing support, we could never have made our two movies or the series,” he concluded. “Congratulations to the Trailer Park Boys writing team, and a big thank you to Telefilm for the important recognition,” says Maureen Parker, Executive Director, Writers Guild of Canada. “A prize like this will help our talented writers stay in this country and develop the next winning Canadian film,” she concluded. Helmed by writer-director Mike Clattenburg, Trailer Park Boy: Countdown to Liquor Day was co-written by John Paul Tremblay, Robb Wells, Mike Smith and Timm Hannebohm and produced by Barrie Dunn, Michael Volpe and Mike Clattenburg. The film begins with Julian, Ricky and Bubbles newly released from jail and brimming with optimism about their prospects for the future. However, when they return to Sunnyvale, they encounter a leaner and much meaner Park Supervisor Jim Lahey who has some big changes in mind for the park, changes that don’t exactly go over well with the Boys, who then face their biggest test since Grade 10. Alliance Films distributed the film across Canada. Just in time for hot dog season, dougiedog the Dogumentary premieres in Vancouver this Monday, June 28th. Featuring celebrities Dave Grohl and Jason Alexander plus music from some of today’s finest acts, dougiedog the Dogumentary is the inspirational story of a man (comedian, entrepreneur and hot dog fanatic dougieluv), who overcomes tremendous obstacles to achieve his dream of opening up a hot dog shop. What starts as a hot dog research expedition across America in a rusted-out Dodge Caravan turns into an incredible journey of self-discovery guided solely by the hands of fate. The premiere will be held at the Cellar Nightclub directly across from the dougiedog Hot Dog Joint at 1011 Granville Street. The event will feature food, music, prizes, hot dogs, and a special appearance by the Ivy League Brawlers (an 8-piece live band). Tickets are $10 and available at the dougiedog Hot Dog Joint while supplies last. Admission includes a free cocktail and appetizers. Doors open at 6:30 pm, the movie screens at 8 pm. People who show up sporting their hot dog spirit will be granted free entrance. iStockphoto has untethered its community today with the delivery of a free iPhone application that allows users to browse iStock’s vast library of photos, illustrations and audio files from an Apple iPhone or iPod Touch – with an iPad-sized app coming soon. The application uses iStock’s industry-leading search engine to help customers find the perfect file quickly and easily. 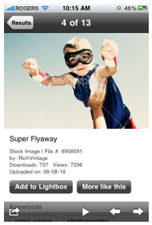 Customers can access and manage lightboxes of stored files from their existing iStockphoto account or create new lightboxes to save files for future viewing or purchase. The app also allows files to be e-mailed to clients and colleagues for discussion and evaluation. The new app also allows the more than 80,000 contributing artists whose work is sold on iStockphoto to track their sales and view download statistics, even while on the go. 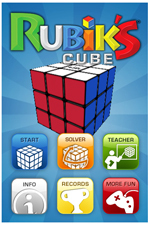 Magmic Inc. has launched the official Rubik’s Cube application for iPhone, iTouch and iPad. The app, which does everything including doing the cube for you, is now available on iTunes for $2.99. Magmic’s Rubik’s Cube is the only iTunes application endorsed by Erno Rubik, the original cube’s inventor. have you reached an impasse in solving your real-life cube? Simply take a picture of a real Rubik’s Cube with your iPhone and the app’s built-in Solver gives you a step-by-step solution. BCIC invites entrepreneurs and startups to attend Connect, a conference for early-stage tech entrepreneurs who want the answers to “what’s next for my company”. Taking place on October 12 at the Vancouver Convention Centre (west building), tickets are priced at a very reasonable $50.00 (buy now for the early bird price of $40.00), and students can attend for only $25.00. The keynote presentation will address the topic of Making It Beyond BC, and attendees will have the chance to meet face-to-face with several (the site says 30) tech leaders who will be there to offer advice and encouragement. Canadian digital media innovation will be in the spotlight when leaders from around the world attend the G-8 and G-20 Summits this June 25 – 27th. The Canadian Digital Media Network (CDMN) has attracted high-tech participants from CDMN-affiliated organizations across Canada to the Experience Canada marketing pavilion in downtown Toronto where they will showcase unique digital media capabilities. SEGA® of America, Inc. and SEGA Europe Ltd. have launched a video contest to celebrate Sonic the Hedgehog’s 19th anniversary. Two lucky grand prize winners, one from North America and one from the UK, will each receive a trip for two to Tokyo to visit SEGA Japan and meet the Sonic development team. Sonic fans and the entire SEGA community will then choose their favorite to win either the grand prize trip to Tokyo, or a prize of a 32 GB iPod touch®. Contest void where prohibited. The Consulate General of Canada in Seattle is planning activities around Casual Connect Seattle 2010 (July 20 – 22) to promote the Canadian game development industry, including a networking event, a Canada table at the show and a Canada Casual Games Organization Directory. Discounted registration is also available on a limited basis. For information on these activities and how to become involved, please contact Victoria Hayes. Don’t forget that Women In Games Vancouver will be participating in GameSauce, the conference-before-the-conference. GameSauce will take place in Seattle on Monday, July 19th and will feature many educational tracks and opportunities for networking. Can’t get enough FIFA World Cup Action? As part of its tribute to the 2010 FIFA World Cup, BC Soccer and a team of partners, including Ubisoft Vancouver, will be showcasing BC Soccer World on Thursday, J uly 1st, at Canada Day at Canada Place. The staging of soccer and sport activity zones, demonstrations and other special events will serve as a new addition to the award-winning Canada day at Canada Place festivities. BC Soccer World will go from 10 a.m. to 6 p.m. PT under the five sails at the iconic Canada Place venue in downtown Vancouver. The 2010 event at the largest Canada Day celebrations in British Columbia is seen as a pilot project for similar community outreach events in other major centres throughout the province in the coming years. 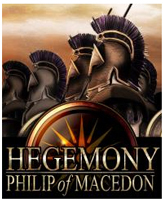 Longbow Games has announced that the studio will be launching a boxed version of their innovative new historical wargame Hegemony: Philip of Macedon at the Origins Game Fair in Columbus, Ohio from June 24-27, 2010. Recently called “the most in depth ancient world strategic simulator on the market,” by Greg Wild of The Reticule, the boxed version of Hegemony which includes a full-colour printed manual will launch exclusively at the show for $30 (reg. $39.99 + shipping). * Innovative supply system – Siege and starve the enemy by cutting their supply lines or burning their crops, all the while building and protecting your own supply network to support your growing empire. * Steeped in history – In-game pedia and 100+ historical objectives recreate the rise of the Macedonian empire. * Detailed and Stylized World and Map – Transition smoothly between the detailed 3D world and the stylized board-game map while maintaining complete control over your empire. * Subjugate your enemy – Chase down and capture routed enemy units to create slave gangs to work your mines or build your forts. But don’t leave them unguarded or they could rebel and wreak havoc in your empire’s heartland! * Conquer the seas – Build or capture a fleet of triremes to protect your coastlines, raid enemy merchants, or drop an army at your enemy’s backdoor. After passionate campaigns across the country and more than one million votes from Monopoly fans from Kelowna to Kawartha Lakes, 22 of Canada’s favourite cities now have a home on the new Monopoly: Canada Edition game board. Chatham-Kent, Ontario now represents the coveted Boardwalk spot, with Saint-Jean-Sur Richelieu Quebec capturing Park Place to round out the prestigious dark blue property group in the popular game invented by Charles Darrow in 1935. Votes were cast during a six-week period in early 2010. The first four weeks of voting determined 20 of the 22 cities featured in the game, picked from 65 pre-selected cities based on the population size of the province in which they resided. The remaining two spots were reserved for a wildcard vote for any city across Canada. Ten cities with the most nominations for the wildcard faced off for two weeks in February 2010 and Beauceville, Quebec and Banff, Alberta earned the brown property spaces on the game board, traditionally occupied by Baltic Avenue and Mediterranean Avenue. Let me start the week by sending out a huge congratulations to our friend Rochelle Grayson on her new position as CEO at Vancouver startup BookRiff. Rochelle is an incredible lady, and I know that with her awesome talent and drive, great things will be happening for BookRiff and its parent entity D&M Publishing. Congratulations also to the Deus Ex: Human Revolution team over at Eidos Montreal for all of their nominations and awards from E3, including Best of E3 from Gamepro and 1up, plus Best E3 trailer from JeuxVideo. CIX, the Canadian Interactive Exchange has sent out their annual call for showcase presentations. Submissions deadline is October 1st, so companies who “consider themselves to be the very best in the fields of ICT, Digital Media and Cleantech should complete a profile in order to be selected to present live at CIX in the showcase of Canada’s Hottest Innovative Companies.” CIX takes place at Toronto’s at MaRs Discovery District on December 7th. There are two Canadian creations out on Nintendo’s DSiWare today. First up is Puffins: Let’s Fish from Other Ocean Interactive. Available for only 500 Nintendo DSi Points, this E-rated title lets gamers dive into the deep blue sea and fill their virtual bellies with delicious fish. Puffins: Let’s Fish is an action game that has you swimming the beautiful ocean in search of a puffin’s favourite meal: the elusive capelin. However, the ocean can be a dangerous place, and you’re not the only one hunting for food. Throughout 18 underwater stages and two game modes, you’ll be avoiding sharks, jellyfish and other fearsome predators who are very interested in making you their next meal. Today’s other new DSiWare title comes from Digital Leisure. Also available for 500 DSi Points and rated E (with cartoon violence) is Mega Words, where you need to put on your thinking cap and see how many of the hundreds of puzzles you can solve in Mega Words. Three classic puzzlers are included in this puzzle pack: Word Scrambler, Anagram Hunt and Hangman. There’s no need for erasers here! These portable editions feature extensive dictionaries to challenge novices and expert players alike. See how fast you can unscramble words, sharpen your vocabulary and stretch your mind with Mega Words. 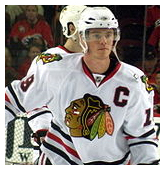 Winnipeg-born Stanley Cup champion Jonathan Toews of the Chicago Blackhawks will be the new face of the NHL® 11 videogame from EA Sports™. With last year’s title featuring Chicago Blackhawks winger Patrick Kane, NHL 11 marks the first time that EA SPORTS has put back to back players from the same team on the cover of the NHL franchise. The 22 year old’s image will be on the front of all packaging when NHL 11 is available in North American retail stores this September for the PlayStation®3 and Xbox 360® with an MSRP of $59.99. Celebrating its 20th Anniversary with NHL 11, the EA Sports NHL® franchise has won 22 Sports Game of the Year awards over the past three years and is poised to raise the bar yet again. With a revolutionary real-time physics engine that brings an unprecedented amount of realism to the franchise, gameplay innovations like broken sticks and a revamped face-off system, as well as the addition of the Canadian Hockey League, NHL 11 is set to be the most complete hockey videogame ever created.